Visitors should be prepared to answer math problems, questions about movie directors, the origins of food, geography, and more. Correct answers will lead to upgrades such as a more luxurious room, extra amenities and high quality dining. However guests who give wrong answers might find themselves on a pull out bed. 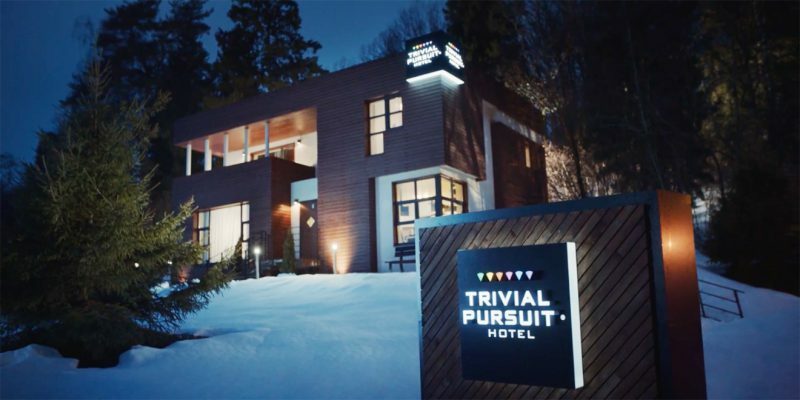 Studious eggheads who think they have what it takes simply have to buy a copy of the Trivial Pursuit game and post the receipt on social media for a chance to book a room and enjoy a stay like no other. Hasbro and Leo Burnett Moscow are welcoming guests between May 20 and June 14, with registration open until April 28.